[*Note: I realize this time of year there are many, many articles circulating about appreciating your family. They all run together after a while, and we begin to ignore them. I wanted to tell you personally, we have all felt the piercing pains and emotions of a broken heart and deep regrets. But losing your mother. To lose the one person in your life, that has loved you since the first day of your existence. To lose them forever. To know you will never be able to hug them, kiss them, touch their face and squeeze their hand.To lose that part of you. This is the first Christmas I will spend without my mother. It is also the first December. And next month will be the first January. Next year will be the first year. My mother died 20 days ago. I was in New York that morning, buying yarn on 4th St.
My father called me and I flew to Las Vegas in the afternoon. I didn’t get there in time. She had messaged me the night before. I responded “Busybusy busy doing presentation!” I called her back later that night and we went through the motions. It was one of those offhand “I love you”’s that had become so routine. I was busy fiddling with something. Browsing online or flipping through a magazine. Something meaningless but more important than trying to have a conversation with my mother. I would call her back tomorrow right? I am sad because I won’t see her walk down the stairs in the morning. I am sad because I won’t hear her cooking in the kitchen. I am sad because I can’t go shopping with her at the mall after Christmas for ties like we did last year. I am sad because it’s not just this year. It’s every year. It’s forever. I will never see my mother again. And it just wasn’t enough. The time I had with her. But that’s the saddest part. No time would ever have been enough, and yet I hadn’t spent as much as I could have with her while she was here. It hit me the other day that part of the reason we shy away from spending time with our parents is because we assume that we will always have tomorrow. The reason isn’t that we do not love them, or that we don’t want to be with them, but because out of all the variables in our lives, we are so sure that our parents, of all people, will be here. Tomorrow. The day after. They will be here every day, talking to us, calling us, telling us to come home, asking about our day. Our parents will be here tomorrow, but you can’t be as sure about that job opportunity, or your boyfriend, or the party tonight. As many of us enter one of the most exhilarating phases of our lives, fast-paced and full of opportunities, we put off those little things that distract. Phone calls “just checking” to see how we’re doing. Messages asking when we’ll be home this holiday. We can’t explain the details of our daily lives so we simply gloss over the entirety of it: “I’m fine.” “Yeah” “Busy” “The usual.” We take for granted these moments because sure that they will happen again, tomorrow, and for the many days after. And in the back of our minds we tell ourselves that one of these days, when we’ve addressed all of our crucial priorities, when we’re “done”—we’ll finally be able to spend quality time with them. Buy them everything they deserve. Tell them how much we love them. That one of these days, things will slow down and it will be the “right time” to talk about everything. Many of the business majors I knew worked so hard because they wanted to make their parents proud. Find the best job possible. Make enough money to support them and give them the best life they could have. In order for these things to happen, we give up these little details. Tiny things like calling them back. Going to a movie with them instead of with friends. Simply telling them how our lives are going and what we feel. How much we love, appreciate, and worry about them. To start that conversation would be so lengthy and difficult—we always save it for a later time. As many of you start packing to leave the next few days, or start preparing for the New Year’s parties and celebrations with friends. Take a moment to stop and realize what is truly important. My mother came to my graduation this summer and I bought her a tiny locket. I told her this was the first of many things I would buy her now that I could. This would be the beginning of a better life in which I could finally take care of her after everything she had done for me every single day since I was born. After she died, I was going through the nightstand she had next to her bed. Inside her drawer was a stack of letters and cards. Post-its I had written for her since I was 10, little illustrations I drew of our family as giraffes, cards I had sent her over the past few years, and the card I had written her when I gave her the locket. I had no idea she kept them, all of them in a single place. My father told me she read them everyday while I was gone. Nothing you could ever give your parents will mean as much as the words you say and the time you spend with them. We spend so much consideration finding useful gifts, thoughtful presents for our parents, money and time just so maybe they will understand what they really mean. But if we could just say those things, tell them those things, I don’t think anything else would ever mean as much to them. What is really important? Accomplish great feats and change the world, but those people who love you and who you love make those things worth it. They make your life mean something. 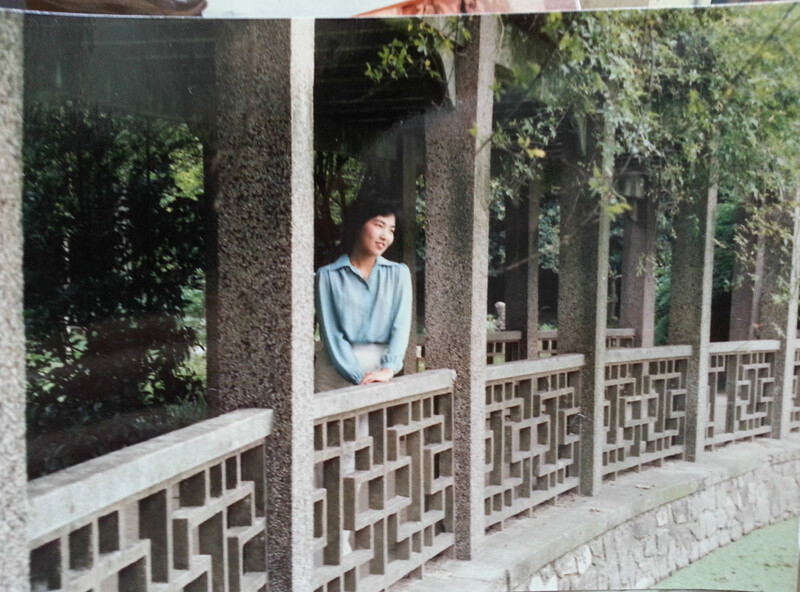 My mother was the most beautiful human being I knew. She loved so much and wanted so much to be loved. It took me moving away to New York to realize how much I appreciate her, and every single moment I spent with her. I had finally begun to understand, how to love my parents, finally begun to learn how to cherish them, and although I will never have the time I wanted to show her all of it, the only thing that comforts me is knowing I was at least able to start before she left. Happy holidays everyone. Hug your mom, kiss her on the cheek, and tell her about your day.